Greenpeace says the disposal of millions of recalled phones could be "environmental disaster"
AMSTERDAM, The Netherlands (KTRK) -- What do you do with millions of phones that you can't do anything with? 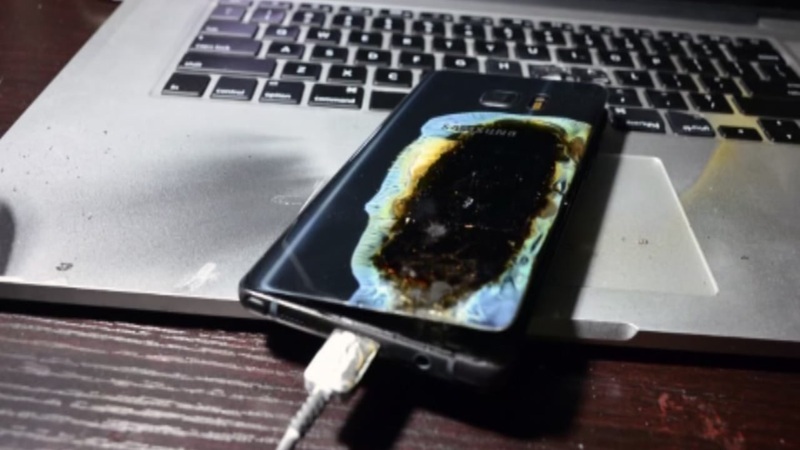 That's the challenge posed to Samsung that has more than 4 million of the recalled Galaxy Note 7 devices, recalled after reports the device could spontaneously catch fire. It's a problem that has the attention of environmental group Greenpeace, who wants the technology company to recycle the phones, rather than trash them. Samsung made plans during the recall to "safely dispose" of the phones according to a news release. Greenpeace says the company could safely recover gold, cobalt and tungsten from the devices, among other materials that could be re-purposed. "Greenpeace is calling on Samsung to be transparent and publish its plan to deal with dismantling and disposing these phones," Greenpeace writer Jude Lee wrote on the Greenpeace website. "We also urge Samsung not to dump or burn the devices." Samsung has yet to publicly disclose how they plan to handle the devices.